The anthemic New Jersey rockers extend their This House Is Not For Sale tour! Jon Bon Jovi and Co. head out again in Spring 2018 to continue 2017's extensive tour in support of This House Is Not For Sale. Known for their knack for anthemic, fist-pumping choruses, this New Jersey group have transcended their hair metal origins to become one of America's most beloved rock bands. Ruling over the airwaves in the 80s and 90s, Bon Jovi achieved huge worldwide fame with their classic album Slippery When Wet, which yielded the monster singles 'Livin' On A Prayer', 'You Give Love A Bad Name' and 'Wanted Dead Or Alive'. Known for their knack for anthemic, fist-pumping choruses, this New Jersey group have transcended their hair metal origins to become one of America's most beloved rock bands. Don't miss Bon Jovi live in all their Rock 'n Roll Hall of Fame glory! Sound good to you? 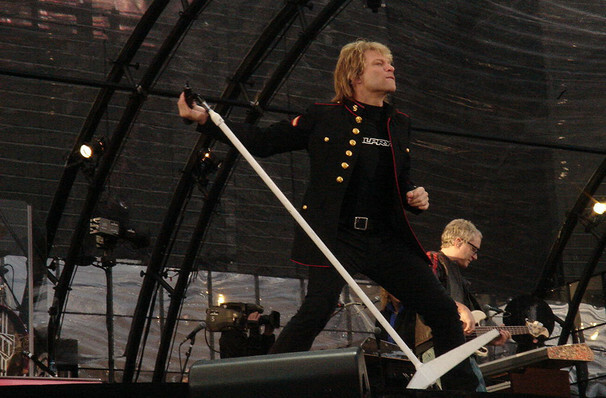 Share this page on social media and let your friends know about Bon Jovi at Wells Fargo Center. Please note: The term Wells Fargo Center and/or Bon Jovi as well as all associated graphics, logos, and/or other trademarks, tradenames or copyrights are the property of the Wells Fargo Center and/or Bon Jovi and are used herein for factual descriptive purposes only. 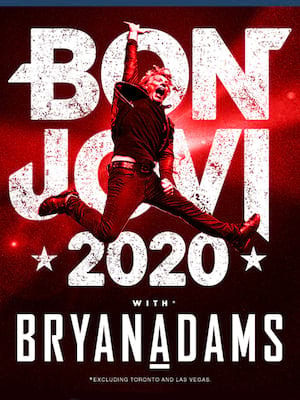 We are in no way associated with or authorized by the Wells Fargo Center and/or Bon Jovi and neither that entity nor any of its affiliates have licensed or endorsed us to sell tickets, goods and or services in conjunction with their events.